Today i received my online order from Love-Makeup, I ordered on Monday night & it came Tuesday morning so i was very impressed & wasnt expecting it at all! The items were a little over retail, with the blush been £16.99 and the Lipstick been £14.99 which i dont really mind paying as they are both sold out, limited edition items. Delivery cost £2.95 and i would highly recommend ordering from love-makeup! Love-makeup is great! I hate how the prices can be a bit ekk but then again you're saving a lot more than you would on ebay! ooooh love these purchases!! fantastic!!! Think a trip to this website is needed!!! Great blog sweetie! Thanks for that link-will deff check out. 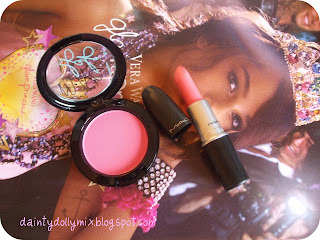 I've bought from love-makeup a few tmes and love it, there's always exciting discontinued mac. Sometimes you can even get discounted product because boxes are missing. Ooh never been on that before, im going to have a look now! I tagged you in my most recent post, the happy 101 tag, if you fancy doing it? I have purchased from this website too and it is amazing! 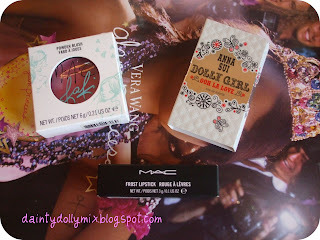 I got my pewterpink MAC glitter eyeliner from there for like £9! Woop!